Bit of a damp start to the proceedings tonight but the rain held off once the band arrived on stage and there were lots of firsts in Helsinki with 'I Will Follow' and 'Pride' making their bow on this leg and the arrival of another new song, Every Breaking Wave - the fourth new track debuted on the European dates. 'No-one has heard that before,' he added, 'Not even us.' We'll all be hearing it again. Were you at the show in Helsinki tonight? Post your own review and add your photos below. The Show was great!!! I don´t never forget it!!! It was memorable to hear people to singing songs that i have heart meny times.I was singin too and LAUD! Ofcause the new song,EWERY PREAKING WAVE was great !!! I was faund wat i am login for. Bono,Edge,Adam and Lary. 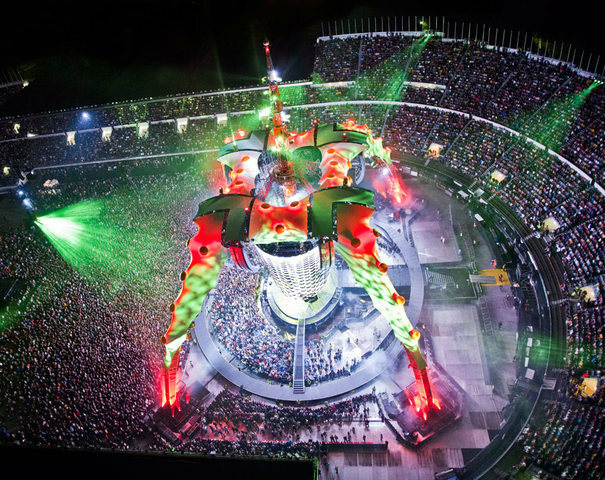 I´ve been three times in the inner circle of the stage, once in Gothenburg and twice in Helsinki. Every time something touches my soul. Something joyful, graceful, hopeful... I can´t explain what it is, but I miss to be back in the inner circle and sometimes tears comes to my eyes when I remember the atmosphere and the joy I had with my friends. The song Where the streets have no name is so powerful that it is impossible to stand still. It goes through me. The knowledge during his first visit to Chile during the Pop Mart tour and I fell in love. 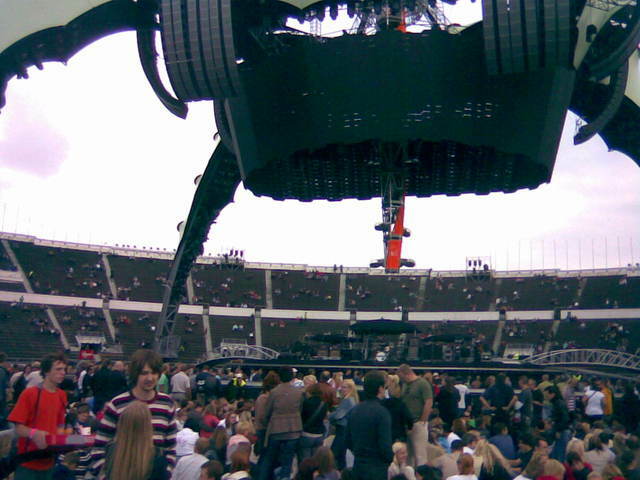 Until 2006, when at last I could see live, live during the Vertigo Tour.Son you a professional and everything was just perfect, excellent acoustics, good show, scenic rhythms are just a few teachers. So they improvised a song with a charango President Michele Bachelet our gift to them and that was very exciting. I look forward to seeing them again. thank u for two wonderful evenings in helsinki! 20/8 was really great! and 21/8... that concert makes me totally speechless....it just cant be better than that! ill keep this in my heart. "Only love, only love can leave such a mark"
<3 Thank You Thank You Thank You!!! <3 GREAT concerts, GREAT shows! Please, come back soon!!! 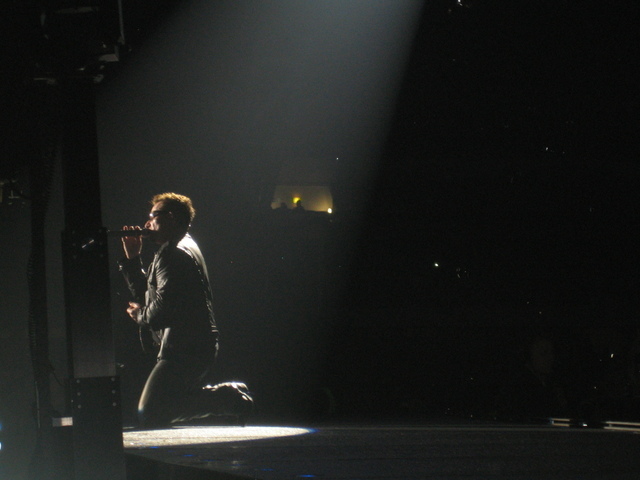 Thank you, U2, for blessing us with your music two nights in a row. I have been a fan since the 80's but these were my first live shows. What an experience! 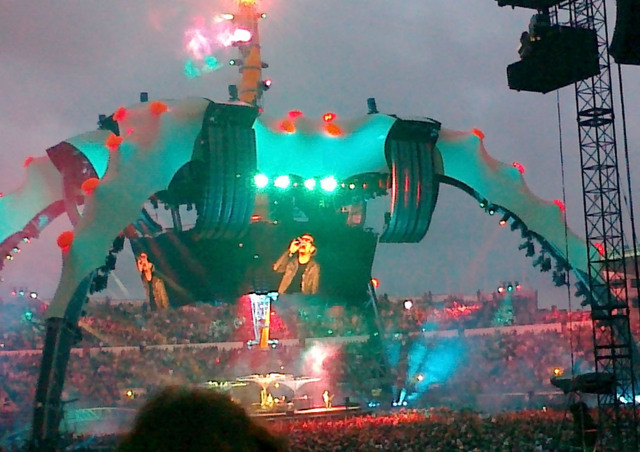 There is something very special about the atmosphere at a U2 concert. I'm sure it is felt on stage as well as in the audience. 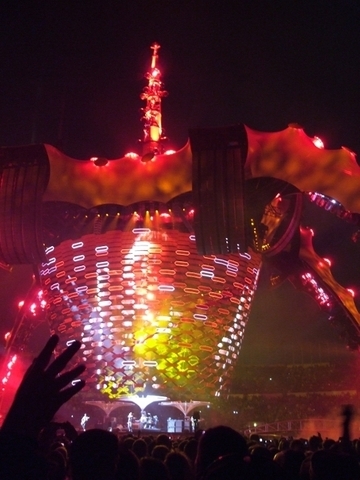 I've gotten a glimpse of it in concert videos, but now, having felt it live - - WOW! From the brilliant sunset during Beautiful Day on Friday to Saturday's sudden pouring of rain from the heavens at The Moment of Surrender - it was inspiring, exhilarating and deeply, deeply moving. Thank you! THANK YOU FOR THE MAGNIFICENT CONCERT! We enjoyd every second regardless of the rain. We were hoping to hear Sunday bloody Sunday but maybe next time? 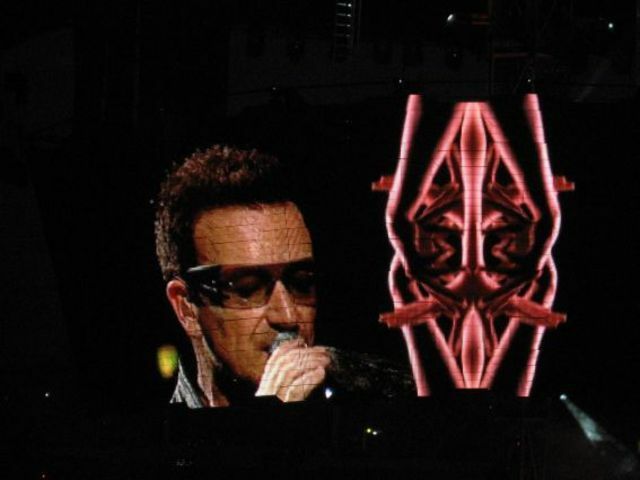 Lot of rain between Razoright and U2, kind of nothing during the show, except the shower at the end, and the stadium going with Bono "singing in the rain" to end this crazy wonderfu show, so cooooolll!!!! :-) Plenty of images still coming in our mind 2 days later, and it will last for long. Here's a panorama I made of one of the finest moments of the evening. 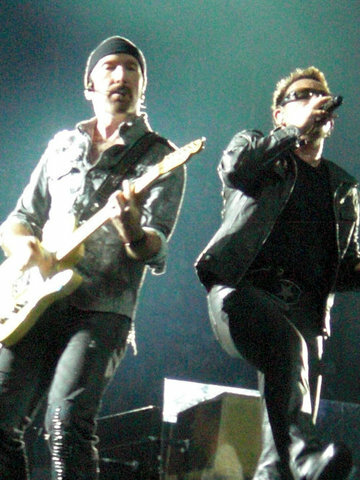 I`m a viking from Denmark that went to Finland to see both U2 shows in Helsinki. 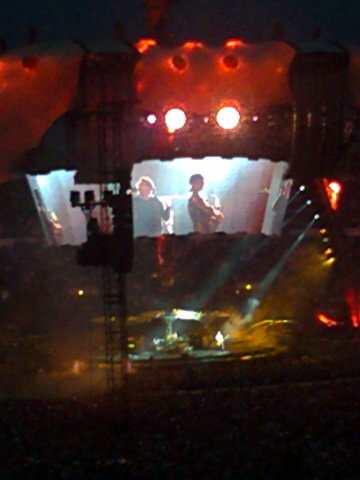 I love U2 and it was a very magnificent to be there. I must also say that the finnish people is awsome. I went to the both shows. Somehow I think that the boys were a bit tired on the first night? There was not that fire that there usually is. Maybe it was the wait because of technical problems with the screen. But the the second night just exploded! It seemed that they were 110% to the show. Pride and where the streets have no name lifted the spirits just to new heights. It was really nice to hear hold me... in a concert after so many years. I'm hoping that you keep your promise to come for a visit sooner than before. Thank you! Everything was big and loud, maybe little bit too loud for me, I stand near the stage, front of it. It was great concert, but not the best what I have seen in Olympic Stadium, Genesis was better 6/07, sorry! 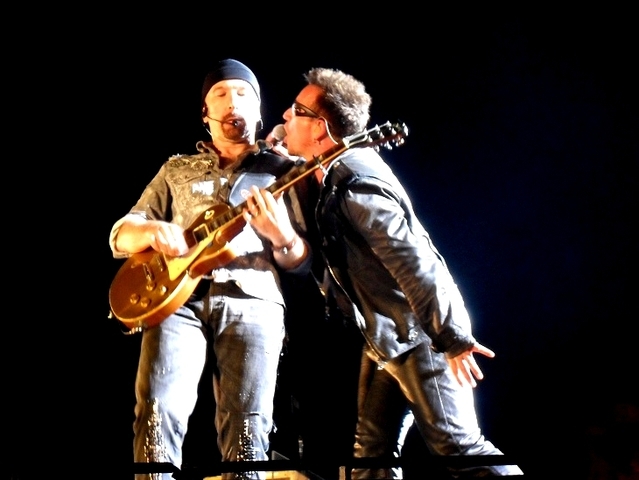 Was watching U2 vid clips and smiling at the band's comments on adventures to Australia. It's wonderful being able to pick up on the variable personalities. There's a genuineness that comes through for all. I was especially taken with Adam's comment about "hitting a couple cricket balls". Love the silly things we sometimes say when we're put on the spot. Thanks, Adam, for allowing my mind to quickly escape to treasured thoughts about children playing cricket in India and the beauty in their genuine (albeit challenged) smiles. Your laid back spirit and projected appreciation of life's simple pleasures was heartfelt. I guess as a member of a team it's important to find solace at times in the things, people and places that help to inspire us. Even if when we blurt them out they don't always make sense to others. I'm sure cricket holds a special place in your heart too. What a night Saturday was...even better than Friday, which was my best concert experience ever!! On Sat. I had seating tickets instead of Red Zone so I was able to see the whole stage and enjoy the full show! I really don't have words to describe it, you had to be there. Best weekend of my life !! Saw U2 for the very first time in my life 20/8 in Helsinki,25 years I´ve been waiting for that moment.New Year´s Day,my all-time favourite ... got tears in my eyes from the first notes when I realized that it´s coming.Great show!! 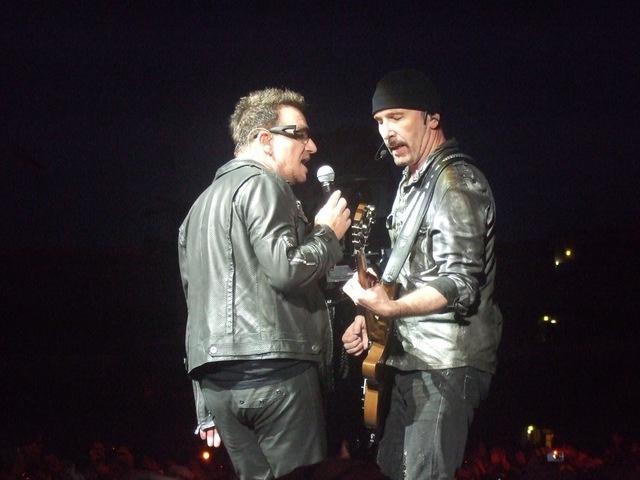 Saturday I had the chance to shake hands with The Edge and Bono in front of Hotel Kämp,that was a total once in a lifetime-experience and will remember it all my life.Saturday´s show was filled with energy,loved every piece of it (even the rain).Please come back soon,love you all!! No-one else could possibly make a show like this. Was a must. Highly enjoyable. How did you manage to match showtime between rain showers. Magic... Simply great, especially as being first time at U2 gig though been fan since what... '83? Highlights? Whole show. Best track? Them all? "One"? Most memorable moment? Sing-along with 52000 others on chorus in cellphone candle lit stadium + singing in the rain....! Warm feeling shared with your "small family enterprise" was a great experience, thank-you. Saving-the-world message got 1% of Finns at once...some twice....I think....-> We Will Follow. 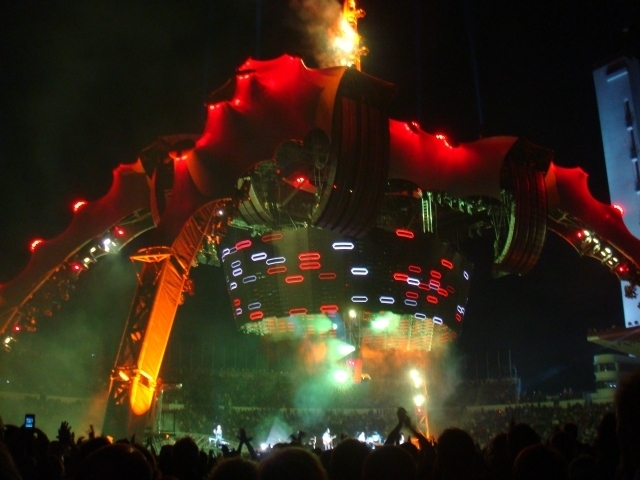 The bonospaceship had to be seen in action...and "bonology" interpretation of 7-brothers heard on spot. All the best for whole team, and for little The Eero thanks for the chords (wishes one other Eero, out of many who were there that night). Looking forward to seeing you again soon.